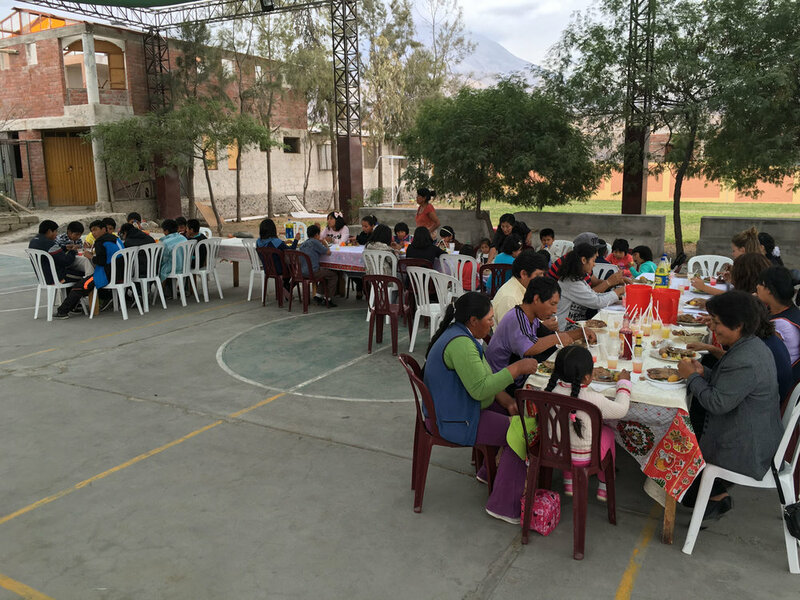 The “Holy Family Children’s Home” known in Peru as the “Aldea Infantil Sagrada Familia”, is run by the Missionary Society of Saint Paul and (mssp), was re-established by Fr. Frank Cortis mssp in 2001. It was started some years before but in spite of big efforts it never really took off. Fr. Frank Cortis was the mssp missionary who really succeeded to establish it on a solid foundation that kept it fully functional till the present. Unfortunately, Fr. Frank passed away in 2012, and since then Fr. Alex Busuttil mssp was appointed director of the home. Today there are 28 children in the home but that is an average as the number changes from time to time depending on different reasons beyond our control. The children come to the home for very different reasons. Some are orphans, others from disfunctional families, others because of extreme poverty, or for other reasons. The children are all boys and age between 3 years and 18 years. In the home, the children are given all the love and attention that children need to grow in a happy and healthy childhood. They are clothed, fed, look after in their health issues, educated, given special care according to each child’s background by a team of professionals like psychologists, social workers, teachers, etc., and given the right values to form them as mature responsible adults. The home does not receive any support from any government organization and is run completely thanks to the generosity of benefactors both from Peru and from abroad. The main supporter of the home is the Australian Region of the Missionary Society of Saint Paul. The mssp support is used in part to pay for the education, food, clothing and health-care. The children of the “Holy Family Children’s Home” are very thankful for the support they receive because only thanks to donations can they receive the needed attention to grow in a safe and loving environment.